When Ricketts, a very successful businessman purchased the Chicago Cubs in 2012, he knew he was inheriting a franchise that had not won a world championship in over 108 years. The Cubs had very loyal fans, but the current culture was not one that was accustomed to winning or holding the members of the organization accountable for success. 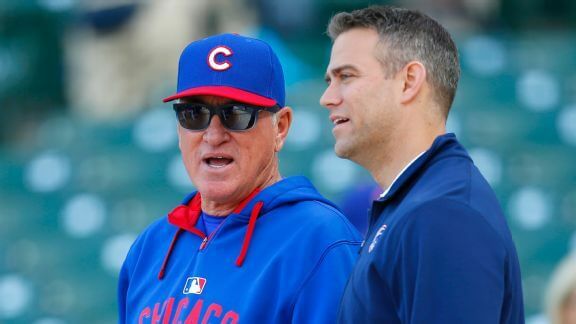 One of Ricketts first major moves was to bring in some world-class management & leadership talent – Theo Epstein & Joe Madden. Theo Epstein, the prodigal son that relayed on “Big Data” to locate fresh, new young talent for the Boston Red Sox, knew he had a challenge when he received the call from Ricketts to come to the Cubs. Epstein and Madden both believed they had to change the Cubs culture to one that incorporated the right leadership team and players that had the attitude to succeed and win. Through the acquisition of young talent and a leadership strategy that focused on personal responsibility at all levels of the organization, they invested the requisite resources to define a path to a World Championship in 2016. Many of the tools, strategies, and resources that the Cubs implemented are germane to building out a “World Class Sales Team”. Establishing realistic sales goals and quotas. Holding the individual members of the sales team accountable. Providing the right level of sales training and compensation that is driving the intended sales behaviors. I believe Vince Lombardi said it best regarding a team and individual player’s performance. “The quality of one’s life and career are directly proportional to their commitment to excellence in their chosen field of endeavor.” Ultimately, a sales team’s culture is established by the sales behavior and attitude. Sales strategies and lessons can be applied to everyday life situations.